Robert M. Williamson "Three-Legged Willie"
A severe illness at the age of fifteen left R. M. Williamson crippled for life. As a result of the illness, his right leg was drawn back at the knee. To compensate, he wore an artificial limb from the knee down, which led to his widely used nickname of "Three-Legged Willie." Williamson was born in Georgia about 1804. During his illness, he read widely and was admitted to the bar. He then practiced law for a brief period in Georgia before moving to Texas in 1826. In San Felipe, helped establish and became editor of a newspaper called the Cotton Plant. An early proponent of self-rule for Texas, Williamson attended the Consultation in 1835. He rode with a cavalry company at the Battle of San Jacinto. After independence was won, he became a district court judge and a member of the Texas Supreme Court. Three Legged Willie remained active in politics for many years. He was elected as a Representative to the Fifth, Sixth, Seventh and Ninth Congresses of the Republic, and as a Senator to the Eighth Congress. After statehood, which he strongly advocated, he served in the Senate of the First and Second Legislatures of the newly formed state. While past the age of fifty, illness again struck Williamson in 1857, which left him mentally impaired. 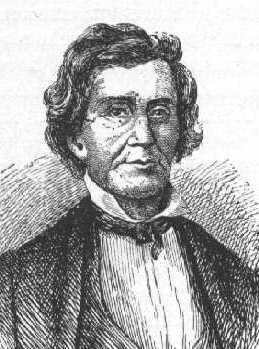 From this second illness, he never fully recovered, and he died in Wharton on December 22, 1859.